Work at the shelf edge has started well. One big difference between the work here and the work that we did at the first station on the cruise is that we have no moored instruments here. The shelf edge is the most heavily fished part of the seas around NW Europe, so long-term deployments of moored instruments tend to be unsuccessful as the chance of moorings being snagged by fishing gear is very high. For the duration of our work at this site we instead hang a chain of instruments from the ship. 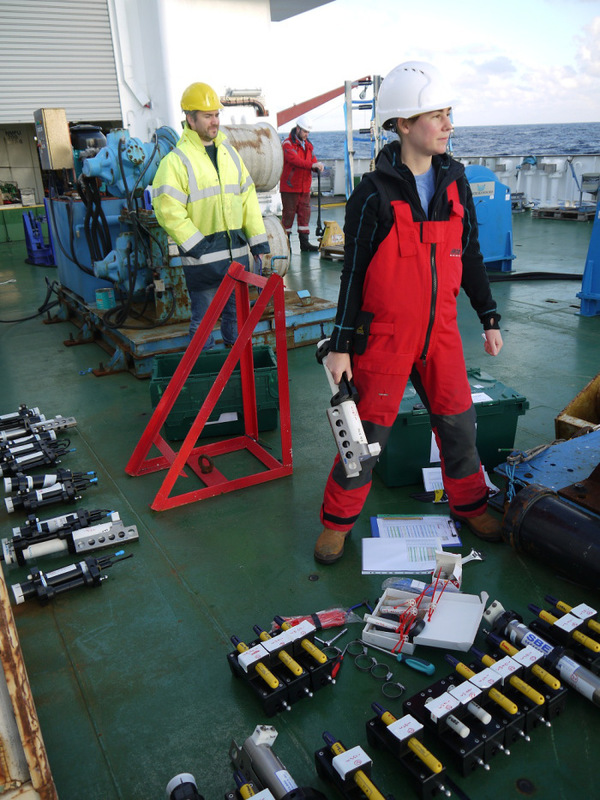 Jo Hopkins and Chris Balfour, from the National Oceanography Centre in Liverpool, spent the previous day setting up about 40 temperature, salt and chlorophyll loggers so that their clocks were all synchronised and they all take measurements at the same rate (once per minute). 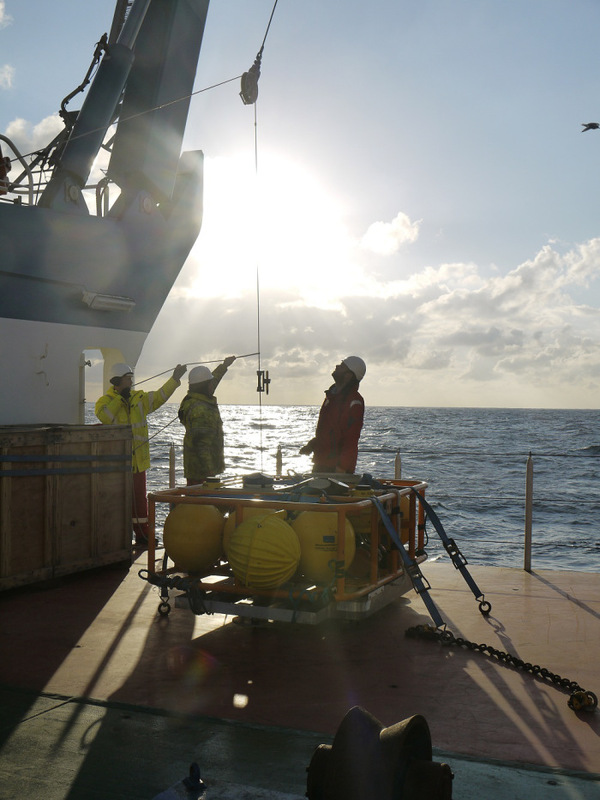 The instruments were then clamped every 2.5 metres on a 200 metre wire lowered over the stern, with a 300 kg ball of lead on the end of the wire keeping it vertical in the water.